We have undergone a series of vigorous exams, both hands-on and written, to prove our knowledge and skills. We are among the best in the industry, and will help you achieve a high-quality job that will last for the lifetime of your home. Technical knowledge and training at installation, sanding and finishing of hardwood flooring. Satisfied clients Honesty and integrity in dealing with customers. The best proof of our quality services are and beautiful hardwood floors. Can other companies present record of very good customer satisfaction record for so long? For your protection we carry liability insurance and workmanship insurance. 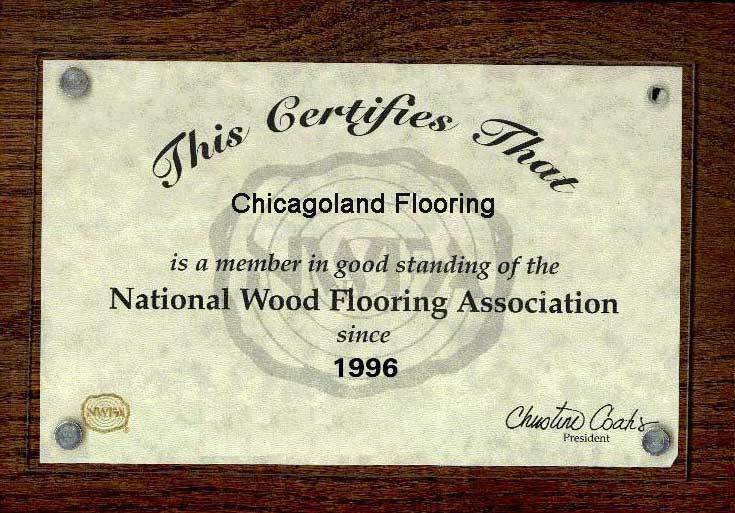 National Wood Flooring Association - Professional member. When it comes to natural beauty it's hard to beat the look and warmth of a real hardwood floor. Let us help you choose the right wood floor for your decor and lifestyle. Sanded and refinished stairs, three bedrooms and hallway--entire upstairs approximately 900 square feet, applied stain and two layers of top coat. This company was extremely pleasant to deal with and professional from start to finish. The owner responded quickly and communicated by email (which is a big plus) with general information about the costs and process. The workers were likewise pleasant and professional and the job was done exactly when it was scheduled, despite the fact that they had little notice and we had a tight deadline before we had to move furniture in the house. The owner left us some floor cleaning solution after the job was completed. All in all the floors look beautiful and it was a great experience. Sanded and re-finished 450 sf. Prompt and efficient, a satisfactory experience. The floors look great. Sanded, stained, and finished oak floor on first floor, sanded and finished maple floor on second floor, and installed maple steps and landing in stairway between the two. Chicagoland Flooring was great. The owner spent a good chunk of time with me discussing finishing options and laying out the pros and cons for each. The guys doing the job were personable and kept the place clean. The finished product looks great and we're really happy with the work. Sanded, stained and applied three coats of finish to approximately 1500 sq. ft of red oak flooring in my Oak Park home. Came back without question next day to redo a bit that was not quite right. The owner is a very pleasant, trustworthy and efficient operator (and quite a taker! ), prompt with appointment quotes and responses to questions. He was very helpful with suggestions for finishes and stain colors. His team was no less encouraging to work with all were very patient, explaining the process in detail how and why colors would change as they dried and running several test in situ for us to choose colors. Although they said they wouldn't in the contract they helped move 3 heavy chests prior to work start. I wouldn't hesitate to hire them again indeed I will when our kitchen is remodeled this summer. This is a messy process but you should only do I very rarely so the extra effort is worth it. Unless you are only doing a small area definitely move out for the duration. We had our whole house and staircase done with solid oak (approximately 2,500 sq. ft). 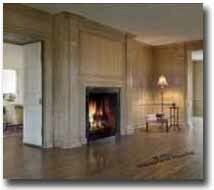 Chicagoland Flooring were courteous, professional and very responsive. They took great care to wait for the humidity level to dry out in our new construction, before installing the 3' oak plank. Did a superb job and kept the house clean. I had no problem giving the foreman our house key, since they stored their tools at our home. I highly recommend this contractor. Carpet removed in family room and hardware floor installed. Hardwood floor in the kitchen refinished with water based finish. The manager of the company was my main contact. He was extremely professional throughout the entire process. The individuals doing the work were prompt and hard-working. I expected to have dust throughout the house. They did such a great job of preventing it -- I was incredibly pleased that such a major job could be done I a way that did not cause any inconvenience to me. The floors look great.